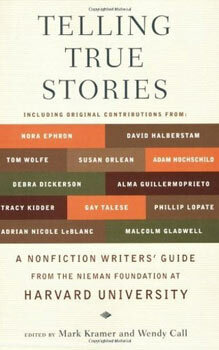 Telling True Stories: A Nonfiction Writers’ Guide. Human beings are built for story. Story is how we perceive the world around us and how we understand ourselves and other people. Through story, we learn and make connections. We use stories to map the future and study the past. Stories are the single most effective tools for education, communication, and persuasion, which is why they are prevalent in advertising and political campaigning. Marketers know the power of story. Stories are powerful because we see ourselves in them. We put ourselves into the stories we read and experience things we could never otherwise experience. This collection of essays features some of the most successful and prominent journalists and nonfiction authors who gather every year for Harvard’s Nieman Conference on Narrative Journalism. Telling True Stories offers their best insights from finding the right topic to structuring a story, from ethical considerations to building a career. In my experience, reading books on the craft of writing that are outside my form or genre is one of the best ways to gain a deeper understanding of the craft as a whole. If you’re a fiction writer and all you do is read fiction (and books on fiction writing), you’re missing out on the many nuances of writing that are not addressed in the realm of fiction. I have found that my studies of poetry have greatly enriched all my other forms of writing, from copywriting and blogging to fiction writing. This is just a small sampling of the wit and wisdom that I discovered while reading Telling True Stories. But this isn’t one of those books that you can’t put down. I found that I needed to read it in small chunks, which is unusual for me since I usually either inhale a book or cast it aside after the first few chapters. With Telling True Stories, I wanted to read a few essays, then chew on what I’d read. It also made me want to write. Sometimes I had to put the book down so I could work on my own story, (which is not a true story, by the way). Like I said, I’m not a journalist, but I learned a lot about my craft from the narrative journalists who shared their expertise and experience in this wonderful collection of essays. If you’re anything like me, you’re always looking for writing resources that you can use to strengthen your writing skills or inspire fresh ideas. Telling True Stories will be a valuable addition to your collection. I never really thought in terms of having an engine that drives my storytelling. But that is an interesting way to look at it. When I read a thriller, it is the unanswered question “Who did it?” that keeps me reading. In the next short story I write, I’m going to approach it from this engine concept and see how that turns out. Thank you for sharing. I pretty much took “engine” as the story question, which is usually about whether or not the protagonist will succeed. I have found that viewing story through the story question (or engine) clarifies what it is about stories that make them so compelling (or not). Thanks for commenting, Robert. I don’t peruse books on the craft of nonfiction writing often, especially journalism (I’m not a journalist), but I believe that within the realm of writing, we can all learn a lot from studying various forms and genres. Thanks again! Well, having a true story to tell may be useful to get started, but I don’t agree with using true stories to write original ones. Get me? A grandmother may have told us a good and inspiring anecdote, but does it really make a good and original story to tell readers? I don’t really agree that one should always write about what one knows. 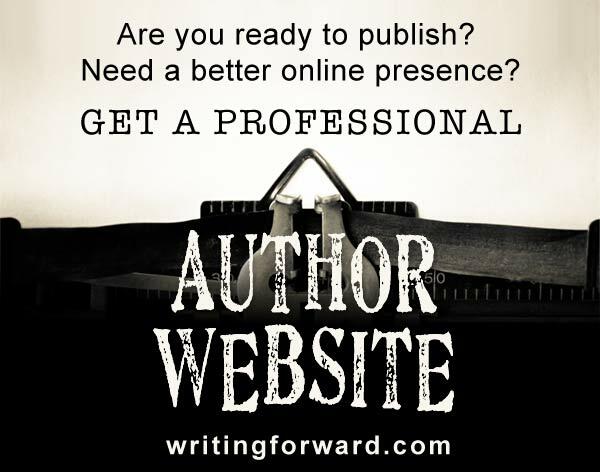 It may help at first, but an author should go beyond his / her knowledge. I once wrote a short story set in Kiev, which is a city that I have never been to nor I had aided though with photographs, videos and maps, but I had never walked in those streets nor had I stepped in any of its shops or buildings. Yet, I wrote quite a believable piece. Vicky, perhaps I’m misunderstanding, but it sounds like you’re telling other writers they shouldn’t use their own, true personal experiences as sources of inspiration. I appreciate your opinion, but it’s not really up for debate whether people use true stories in their fiction. You don’t get to tell other writers what source material to use. How do you know your piece was believable? Did you ask someone from Kiev to read it, and did they tell you that you depicted it correctly? I agree that we don’t have to write what we know, and certainly we can write stories set in places we’ve never been. But there’s a way to do that without giving away that you’ve never been there, and it’s always better to have visited the place or at least done considerable research.